Ever wonder which over-the-counter pain reliever to take? Eric Grayson, PharmD, a clinical assistant professor at the Texas A&M Irma Lerma Rangel College of Pharmacy, tells the do’s and the don’t’s for the pain relievers found in your medicine cabinet. 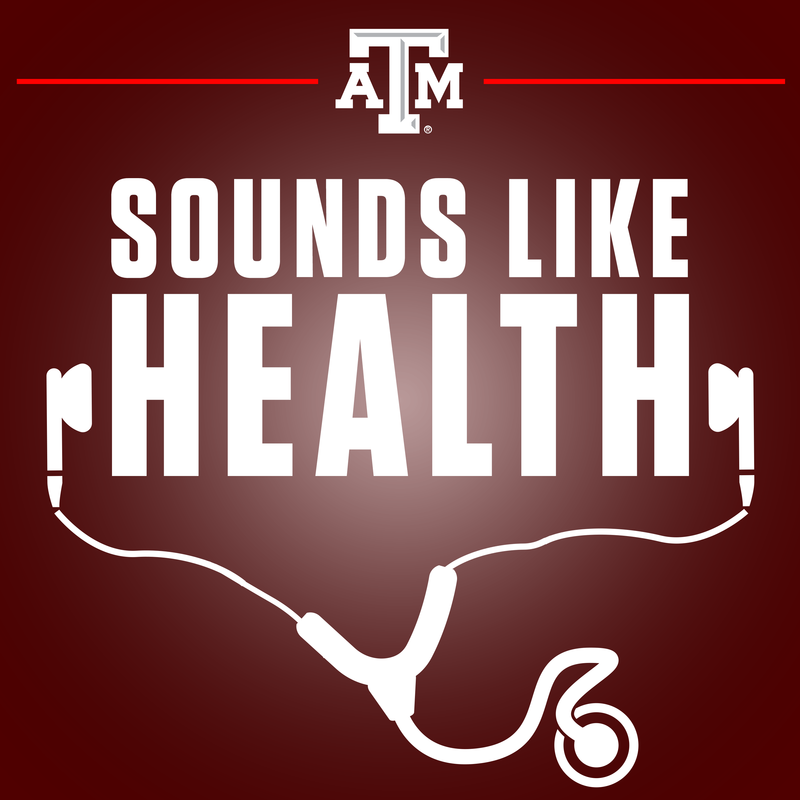 Mary Leigh Meyer: Howdy, welcome to Sounds Like Health. This is Mary Leigh Meyer. Sam Craft: And I’m her cohost, Sam Craft. Mary Leigh Meyer: And we are here with Dr. Eric Grayson. Eric Grayson: Thank you, Howdy. Mary Leigh Meyer: So, today we’re gonna talk about the different kinds of over-the-counter pain relievers, and when we know when to use one type versus the other type, and what is best practice for those. Sam Craft: So, like acetaminophen, ibuprofen. Sam Craft: That kind of stuff. Sam Craft: Okay. What do we have first? Mary Leigh Meyer: Dr. Grayson, so are there certain types of circumstances that would lead you to pick acetaminophen over ibuprofen, or another type of anti-inflammatory? Eric Grayson: Human beings, physiologically, are very distinct, so some patients may get more pain relief, or better fever relief with one versus the other. But in general, we kind of like to separate the over-the-counter products into two big, kind of broad categories. One being acetaminophen and the other one being what we term NSAIDs, which would be non-steroidal anti-inflammatory drugs. Typically, acetaminophen acts more centrally in the brain, and so it’s a pretty good pain reliever. And the NSAIDs act in a completely different way, working on what we call COX enzymes, or the moderators of inflammation. And so, that makes NSAIDs, like ibuprofen, naproxen, there is another one called ketoprofen, that people may be less familiar with. Sam Craft: Yeah, what drug is that last one? I’ve never heard of that one before. I mean is it just a regular anti-inflammatory, like some of the other ones you mentioned? Eric Grayson: The only difference is what dose you use. Eric Grayson: So, there’s aspirin, and ibuprofen, and ketoprofen, are really the only ones that I’m aware of that are over-the-counter, and ketoprofen is a very small portion on the shelf, so it wouldn’t surprise me that you haven’t noticed it. Eric Grayson: So when it comes to NSAIDs, or non-steroidals, we typically think of those as a little better at reducing inflammation. And since inflammation is secondary to injury, or something is going on with the body, like rheumatoid arthritis, typically, we’re going to reach for an NSAID to treat that kind of pain. If we’re talking about headache pain or back pain, or something that really doesn’t involve inflammation, then acetaminophen is actually a pretty good choice. So, trying to tease out what type of pain you’re treating can kind of put you in the right direction as far as what to select. Sam Craft: I’m really bad about choosing the right kind of drug when my head hurts or when my ankle’s sore. I know if my ankle’s sore or if any joint pain, I’m going to take an ibuprofen, because it takes the swelling out—that’s what everybody always tells me—and it’s anti-inflammatory, but are there any other benefits to an anti-inflammatory than just that? Eric Grayson: Not really. Decreases the inflammatory process may shorten an injury, the time frame that you experience the pain with the injury. But, not by as much as you might think, because the anti-inflammatory action only lasts for a few hours, and so, typically, there’s a lot of similarities between acetaminophen and NSAIDS. Sam Craft: So would I be okay taking, say, an ibuprofen, and then also, some acetaminophen on top of that to kind of, I mean, do they work together to get rid of my pain and the swelling? Eric Grayson: Generally, what we recommend is one or the other. In situations where a patient’s just really not getting the relief that they need, on occasion with a doctor’s recommendation, we can recommend staggering doses. In other words, the acetaminophen, you can give that every six hours, you can generally give the ibuprofen every, depending on the dose, six to eight hours, and just put the doses in between each other so that they’re spaced out evenly. If you’re still not getting relief from that within a few doses, you really need to probably see the physician about what’s going on with causing the pain. Mary Leigh Meyer: And so, for our listeners that may or may not know, acetaminophen is most commonly used as the word Tylenol? Eric Grayson: Yes, that’s a common brand name, there’s a number of brand names, but that’s probably the one that’s most recognizable. Mary Leigh Meyer: And then, the word ibuprofen is common brand of Advil. Sam Craft: Or Motrin, too. Mary Leigh Meyer: And Motrin. Eric Grayson: Yeah, that’s right. And again, again, there’s several brand names of ibuprofen, but Motrin or Advil is probably going to be the most commonly recognizable. Mary Leigh Meyer: Mmhmm. So which one would you use for some sort of chronic pain? Eric Grayson: Yeah. You know, chronic pain is a little bit different story. When it comes to chronic pain, I avoid recommending over-the-counter products. And, the reason for that is chronic pain really needs to be thought of and treated differently from an acute pain like a headache or a sprained ankle or even a muscle injury, because those events are acute and they last for the life of the injury, and then once the injury has healed, then there’s no more need for pain. Chronic pain, you’re talking about something that is a physiological state that is ongoing for long periods of time. That’s a completely different pain process, and I think, clinicians kind of like to approach how we address chronic pain a little bit more holistically, because there are long term effects that come from the use of pain medications. Sam Craft: But what’s your thought on that? Eric Grayson: Well, if tailgate gatherings are anything like they used to be, I would say, probably don’t mix them, because the general rule of thumb is if you have more than two or three drinks, or if you have more than two or three drinks daily, then you really need to stay away from these drugs. And, to explain way, acetaminophen is cleared by the liver. And, alcohol tends to have quite an effect on the liver. And, you take the two together, and you have the potential for liver damage, especially if it’s done on a routine basis. For the non-steroidals, it’s a completely different reason. Non-steroidals tend to be very rough on the stomach, and cause damage to the stomach lining. Alcohol is really, really good at doing the same thing, you combine the two together, and you can really get some significant GI irritation, and possibly, damage as well. Alcohol basically ups the severity of the side effects from these medications. Sam Craft: You mentioned the liver. Do any of these affect the kidney? Because, I’ve always heard ibuprofen has the chance of hurting your kidneys, as well. Is that just an urban myth, or is that true as well? Eric Grayson: Oh no, that’s very true. In fact, we pay close attention to what we call over-the-counter medication use whenever we bring a patient to the hospital, because it helps us identify those patients that may have an occult or hidden problem with their kidneys. Non-steroidals, like ibuprofen and naproxen, over time, with repeated dosing, can cause problems with the kidney, there’s no doubt about that. Mary Leigh Meyer: And you said that non-steroidals typically are hard on the stomach. Does that mean you have to eat before you use them? Eric Grayson: Generally, the upset stomach part, you know, the stomach irritation and maybe the discomfort that you feel with medication sometimes can be alleviated by taking it with food, but I’d still like to point out that that doesn’t prevent the stomach damage in the lining of the intestines or the stomach, so doses can still cause problems. Mary Leigh Meyer: And is there any other kind of drugs or medication that you should not take with these kinds of pain relievers? Eric Grayson: Well, we would be here for the rest of the podcast if I were to list them for you. There are a number of medications. Probably, the most expeditious way for me to handle that is to say really, if you’re on medications, or if you frequent herbal medications and that sort of thing, probably the best approach is to just walk up to your pharmacist, you know, at whichever pharmacy you go to, or wherever you’re buying the pain reliever, and just have a conversation with your pharmacist there. He’s got the tools, or she’s got the tools, to look that up specifically, and give you a real detailed answer as to what happens when you combine those medications. Mary Leigh Meyer: Okay, okay, and, are there certain kind of conditions that people may have where they should not take one or the other of these? Eric Grayson: Absolutely. If you have any measure of liver damage, I think you need to be cautious about using acetaminophen. Acetaminophen, and non-steroidals as well, you really need to be cautious. But, acetaminophen, you know, we generally look at somebody that’s got cirrhosis or hepatitis, when it comes to acetaminophen, we like to limit the dose to two grams, where normally, you or I might be able to tolerate up to four grams a day for short periods of time. Someone with hepatitis or liver damage, we want to cut that maximum in half. Sam Craft: So, I got a question, since we’re talking about doses, growing up, playing football, I always had a sore knee or elbow or something. I took like 800 milligrams of ibuprofen and that was not a big deal for me. What’s your thought on weight versus dosage? Eric Grayson: Well, I would say that you were younger and much healthier then. Sam Craft: That is true. Sam Craft: Well, I guess that’s what I’m asking, yeah, because the bottle says take three a day and call me in the morning, or whatever it is, and that’s a pretty generic prescription, so to speak. Eric Grayson: Sure, so when it comes to over-the-counter products, I’d like to point out that they are, we think of it in two terms, and that’s the same terms that the FDA looks at it, which is number one, safe, in other words, can a patient take this as labeled or as directed on the packaging, and it be considered, for the most part, safe for most patients in the population. And the second thing is efficacy, you know, does it work? Can the drug company that manufactures it demonstrate that it has a positive effect for what it claims it’s treating? And so, with those two things in mind, there is as labeled on the container that dose and that frequency and the maximums, and the cautions that go along with that. All of that taken into consideration, if you take the medication that way, it’s generally considered to be safe for the patient. When you start exceeding that with larger doses, you tend to increase side effects and possible long-term consequences, and so, there’s certain monitoring requirements that go along with that, or time constraints go along with those higher doses, and so consequently, those doses, those higher doses, are reserved for prescription processing. And, the reason for that is the physician has prescribed it, and in theory, is monitoring your progress, both with the condition that’s being treated, and any side effects that you might be experiencing. Sam Craft: Sure, well that makes a lot of sense. I never thought about it like that. Eric Grayson: So if you’re a bigger guy, you don’t get a pass on the dose, no. Sam Craft: Well, that’s good to know. I mean, even now, I still tend to do that. When I need to take them like that, I take them like that, because it’s what I’ve always done, and I’ve always just heard that because I’m a bigger guy, you need more medicine, and it’s nice to hear that that’s not always the case. Eric Grayson: Not always, I think, you know, the exposure to the medication circulating and the blood is still affecting the kidneys and the stomach lining, you know, just like the smaller doses do, and so, you know, there are consequences to the higher dose, and time constraints on how long you can dose it that way, and how often you can give the dose have to be expertly determined. There’s a general belief that if it’s over-the-counter, it’s safe, and so, you know, I can take whatever I want, and it’s still going to be safe, and that is myth. Mary Leigh Meyer: So, that’s really a great point. Can you kind of elaborate on how they may or may not be as safe as we all think? Eric Grayson: Sure. I’ll give you an instance. Acetaminophen itself is really quite well tolerated, and has very, very, very low toxicity until you start exceeding the maximum dosages, and then, there’s a pathway in the liver that breaks up the acetaminophen so that the body can clear it out. If you take too much acetaminophen, either in dosing, single doses, or in total doses in the day, that liver process that breaks up that acetaminophen so that the body can get rid of it gets saturated, and so, the acetaminophen stays in the system much, much longer, and goes through an alternate pathway to get broken up and taken out of the body. And, that pathway can cause serious harm, because of the metabolite of the acetaminophen. And so, it’s very safe, it’s very effective, but if the dose is received, it can become deadly. Mary Leigh Meyer: How do fevers and headaches play into all this? I feel like those are two pretty common ailments that we reach for these kinds of medicines for. Sam Craft: Well, yeah, the first thing that I was, “Oh, I think I have a fever,” and the first thing I’m always told like, “Oh, take some acetaminophen,” you know? “It’ll knock it out of the way, it’ll drain it out.” I guess, is that a normal, common practice for that drug, specifically? Eric Grayson: Well, it is effective as what we call an anti-pyretic. It’s very effective for that, but so is the non-steroidals, as well. Sam Craft: So ibuprofen will actually help with the fever as well? Eric Grayson: Yes, it will. In fact, it is very common in pediatrics to prescribe the ibuprofen for fever as well, so it’s a well-known anti-pyretic, and it works just as well. I wouldn’t say one is better than the other, but if a patient has a preference for one reason or the other for one of the products, they should receive some benefit with either one. However, let me just inject one little point here. When it comes to fever, just because you’re a couple of points on the thermometer higher than normal, doesn’t mean necessarily that you should treat the fever with medication, because the body’s response to a viral infection or even a bacterial infection is generally to increase the body temperature, and so, what that does is, is it ramps up the body’s ability to fight that infection. White blood cells work better, they tend to circulate better in the body, there’s just a whole lot of benefit to the slightly higher body temperature. And so, to squash and press down, and diminish every single fever is maybe not the best approach. If you can tolerate it for a little while, you know, not treating it might be a good way to go. Sam Craft: Well, that’s interesting, I’ve never heard, I guess, I’ve never heard it put that way. Is there any difference to say, a younger person taking acetaminophen over ibuprofen, is there a benefit to one of those two things when specifically, you’re talking about fever? Because that could be one or the other. Eric Grayson: It can be one or the other. Either medication can, will help with the fever. They’re both pretty effective. Pediatrics, we tend to prefer the ibuprofen, but that could just be because it tastes better in a syrup, because acetaminophen is not the best tasting medication. But they’re actually both pretty effective as anti-pyretics. It all depends on the extent of the fever. Now, all of that said, we will all get cranky and irritable and very uncomfortable, and not be able to sleep. Sam Craft: Well that’s definitely what a fever is for me, it’s awful. Mary Leigh Meyer: Especially for children, too. Eric Grayson: So, when it gets to that point, it’s okay to take something for your fever. But, until it gets to that point, I would say let your body work on that infection. It may decrease the time length or the time course of how long you’re sick. Mary Leigh Meyer: Okay, and do people ever get used to these kinds of pills, you know, if you take two ibuprofen every day for little headaches here and there, do you ever need to increase your dose? Sam Craft: Yeah, I guess, does your body become immune to the medication at some point, to its good effects? Eric Grayson: Not really, there’s no built-in tolerance to the medication. My first thing is when you said take two ibuprofen every single day, my first response is don’t do that. Sam Craft: One-hundred percent good advice. You’re talking about do not take two ibuprofen a day, obviously for the health risks that that could pose. What about taking an aspirin a day for say, heart purposes, or anything like that? Is that still advised? I know growing up, that was always a thing. Is that still a common practice? Eric Grayson: Absolutely. In fact, I would say we need to do that under a physician’s supervision, and the reason I say that is the size of the dose and how often we give it is vastly reduced as far as the benefits from it. And, in fact, the literature’s changing. I’ve seen a couple of things come across, you know, on my inbox on aspirin and the dose that’s required, very recently, that would maybe indicate that the dose that we’re using every day for everybody that has heart disease or cardiovascular disease or coronary artery disease, that that dose may be, at some point, in the near future, the next three or four years, a little different than what we’re currently recommending. So, when it comes to that daily aspirin, I would strongly urge people to seek out the advice of their physician. Mary Leigh Meyer: So, what are some of the biggest misconceptions about these kinds of drugs? Eric Grayson: Well, one that comes to mind right away would be combining some of the other over-the-counter medications like famotidine or an antacid to decrease the stomach upset that comes along with ibuprofen or some of the other non-steroidals. I generally don’t recommend doing that, because that takes away the patient’s pain response, and it blocks their ability to perceive any damage that’s being done by the non-steroidals to the stomach lining or the intestinal lining, and so, those patients that do that on a routine basis, when they present with an ulcer or gastric reflux disease, or some of the other intestinal disorders, their problem tends to be more advance. And so, my recommendation is don’t do that. It’s a common practice, and on an acute basis, over a very short course, maybe it’s okay, but on a regular ongoing basis, probably not the best plan. Eric Grayson: Yeah, acid blockers. Sam Craft: Okay, well Dr. Grayson, we’re about to wrap up here, is there anything else that you might need the public to know about acetaminophen or ibuprofen in general, you know, some dos, some don’ts, or maybe just a general, “Hey look out for this,” kind of thing? Eric Grayson: Well, yeah, let me add in one be on the lookout for thing. Eric Grayson: And, that would be that a number of medications, both over-the-counter and prescription as well, have acetaminophen as a component of their formulation. Sam Craft: It’s just another piece of that one drug, so you might be taking drugs that don’t even know that it has acetaminophen in it? Eric Grayson: Correct, correct, but it’s generally on the prescription drug label typically. Or, it’s in the ingredients list, if it’s an over-the-counter product. And, let me give you an example. When it comes to a popular nighttime cold remedy, it has 1,000 milligrams, or a full gram, of acetaminophen in it. Eric Grayson: We generally recommend your entire daily dose be limited to three to four grams of acetaminophen on acute administration, so one dose of the cold remedy will give you an easy one-fourth of your entire day’s dosing regimen. And so, some of these products have got quite a bit of acetaminophen in it, so to prevent the toxicity, the liver toxicity that’s associated with those medications, you’ve really got to read the ingredients label, and make sure that the total daily dose of acetaminophen is limited to that three to four grams. Sam Craft: That’s really good advice, you know, when I’m sick and I’m taking, some cold and flu medicine at night, I never think about the other medicine that I’ve had earlier in the day, kind of stacking up on itself. Sam Craft: Oh, for sure. Eric Grayson: But we really need to be cautious, because these medications do have side effects and toxicities. Mary Leigh Meyer: Alright. Well I think that’s all the time we have today, Dr. Grayson. Thank you so much for coming on the show. Eric Grayson: Oh, it’s my pleasure. Mary Leigh Meyer: Thank you for listening to another episode of Sounds Like Health. Join us again in a few weeks, when we talk about diabetes.